Jodi joined the Moxie Girl team in 2017, working with residential clients as a household assistant. She enjoys working with all clients but finds exceptional joy when working with couples, and families. 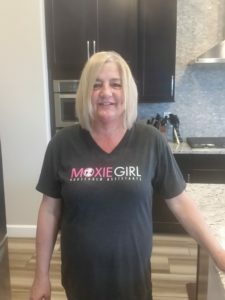 Jodi said the most rewarding part about working with Moxie Girl is meeting and enjoying client’s animals, and satisfying her customer’s needs with her excellent customer service. When she’s not working with Moxie Girl, Jodi enjoys spending time with her three children and her dog, and going back home to Minnesota to spend time with family. Her favorite room to clean is the kitchen, she says it’s very rewarding because it is the main focus of a home and people notice a lot in a kitchen.